It takes a certain person to wear a certain dress. This particular dress – powder blue, high collar, and a giant bow (is it a bow? I’m calling it a bow) on one shoulder – requires a particular person. A person who can carry a bow as big as her heart on her right shoulder and not be eaten alive by it. Only one person has enough feeling to hold up this bow on her shoulder, enough heart to balance the bow with its size – a heart that’s big enough not only for ALL the feelings but for the representation of those feelings in the form of a fashion boulder on the shoulder. That person, of course, is our dear Celine Dion. At the Beauty And The Beast premiere last night because, of course, she sang the original and apparently is doing a new song for the live action version. Celine told PEOPLE that at first she hesitated when they asked her. 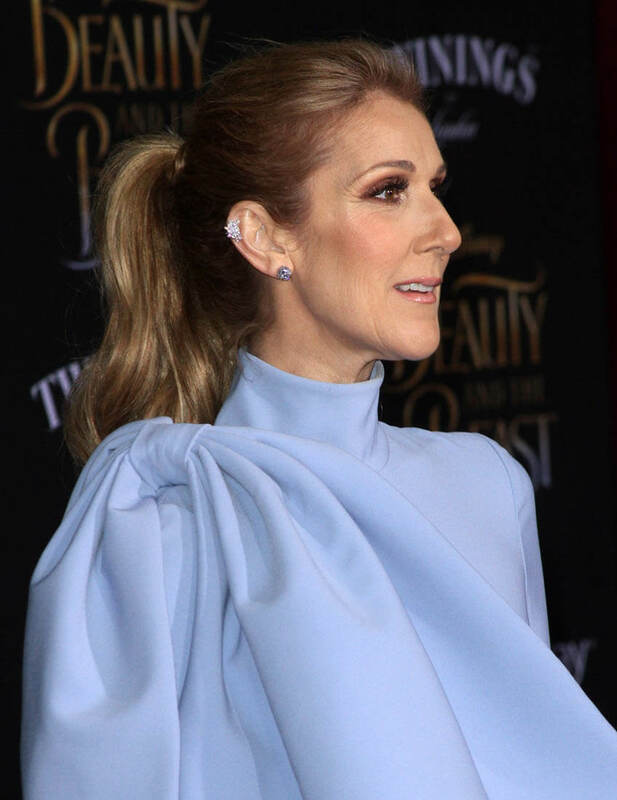 Celine Dion basically just took ownership of Beauty And The Beast. AND WHO’s GOING TO ARGUE WITH HER? She is the ONLY face you see. It is the ONLY voice you hear. Of course. OF COURSE it’s “a little bit” her movie. As she says, the movie is about what lasts forever. You know the answer. And who could possibly own that answer other than Celine? “The message in this movie is: how does a moment last forever? 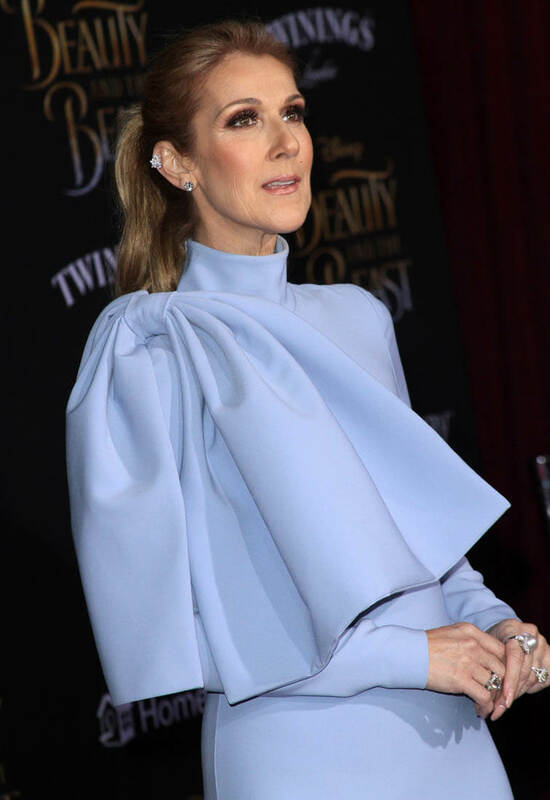 Love lasts forever,” she told reporters at the premiere of Disney’s live-action Beauty and the Beast at the El Capitan theater in Hollywood on Thursday.